Perfect the unexpected with effusive abstract patterns and irreverently scripted typography. It’s an exclusive art opening, of sorts. This 4.5” x 6.25" Large Enclosure Card is lovingly painted and digitally printed on a white 118# cotton stock, selected for its rich texture and beautiful display of our watercolor imagery. The wording featured on the product image is placeholder, which means that it can be completely altered to your wishes. This template can be used for other weekend activities, to convey any details you wish to leave off the invitation. 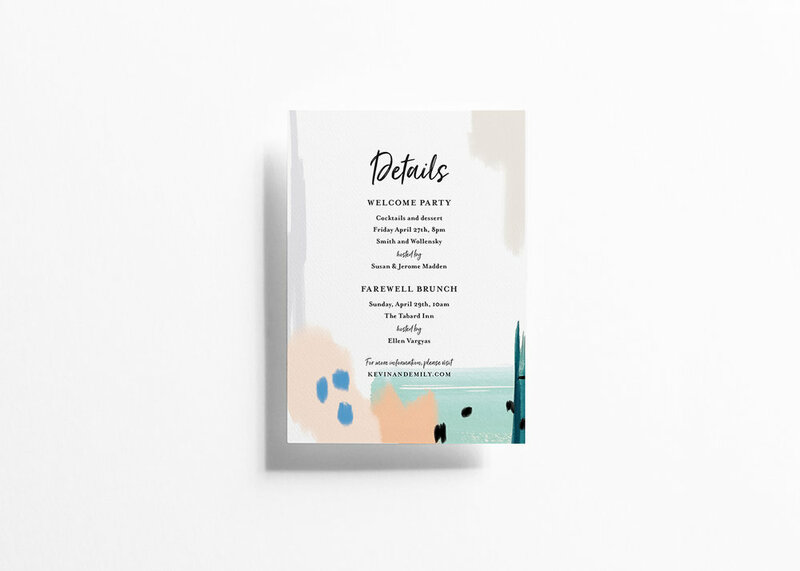 You can even use it as an invite, as it fits perfectly in an A6 envelope.